Freefly Systems are known for designing and manufacturing industry standard camera movement systems and stabilisers used in cinematography. They are a US based company formed in 2011 that gained notoriety in the digital video industry after launching their camera stabilisation system the MoVI M10, which provided a smaller and more agile alternative to Steadicam. What was so important about this alternative is that it eliminated the need for the camera operator to wear a harness with an iso-elastic arm and counterbalance weights to get their steady shots. This was nothing short of revolutionary for the film industry and since then they have gone on to produce some of the most recognisable equipment in cinematography like the Freely Alta and CineStar drones, the ‘TERO’ unmanned ground vehicle and handheld stabilised gimbals like the MoVI M5/M10/M15/PRO. 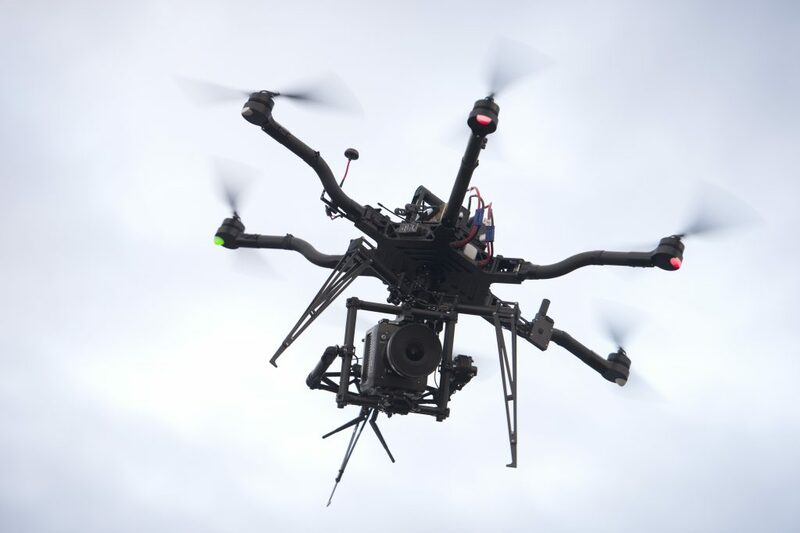 IronBird were an early backer of the Freely range and having begun our aerial cinematography services with the CineStar aerial platforms and the radian 2 and 3 axis gimbals, we have since moved onto the FreeFly Alta 6 and MoVI M5, M10 and Pro gimbals. The FreeFly Alta 6 is an incredible piece of aerial machinery using 6 motor arms and props to lift up to 9.6kg in weight. Shrinking down to 33% of its size from 1533mm to 515mm by unclipping the arms and folding them down, makes the Alta 6 the most versatile drone in its weight class, capable of unpacking and getting up in the air in no time. One of the best things about the Alta 6 is the ability to top-mount the camera – unlocking unrivalled sky views that were unachievable before this new innovation. Which is precisely one of the reasons we upgraded our CineStar airframe to the Alta airframes. Since we work primarily in the film and TV industry, having the Alta 6 & 8 airframes is invaluable to our operations because it means we can lift professional cameras like the ARRI Red and Alexa Mini for productions on our MoVI gimbals. 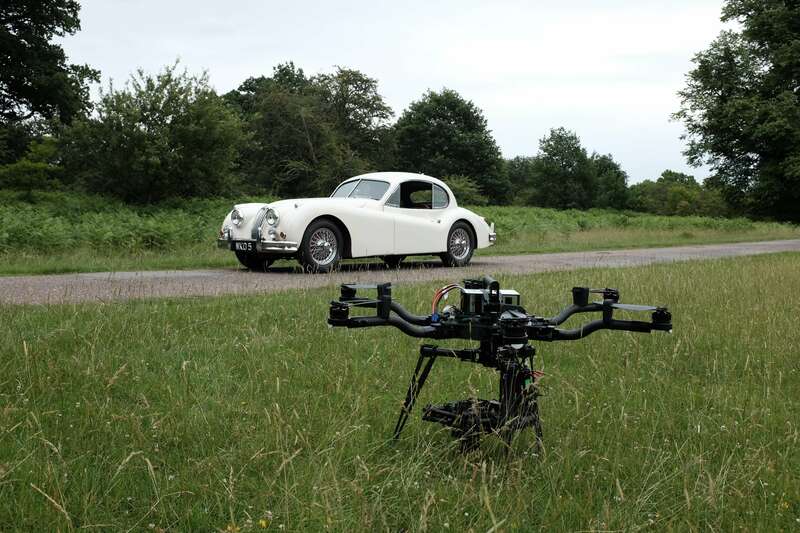 What makes this drone so flexible is that the gimbal mount is a ‘Toad in the hole’, allowing for quick release of cameras on set, ready for the next shot. Our desire to provide the best possible shots for our clients goes hand in hand with the customisable configuration of the Alta 6, where every aspect of it’s intelligent flight system and electronics can be adjusted using the Alta App. We can monitor critical information like motor temperatures, status indicators, vibration levels and aircraft height, but we can also adapt and fine-tune parameters like climb rate, velocity and height control, as well as modify the aircraft’s feel and dynamics in flight. Having so much control over the drone means we can offer exactly what our clients want, whether it’s slow and precise shots or high speed tracking shots, the Alta 6 has it covered.